Despite the recent shakeup at OnLive, it seems the industry at large hasn't given up on the idea of cloud-based gaming. Gaikai, an OnLive competitor that focused on demos, was purchased by Sony last month for $380 million and is expected to be implemented in the console maker's upcoming PlayStation offerings. Likewise, Microsoft is reportedly looking to hire some of the displaced OnLive staff, suggesting that it's working on related projects (Microsoft is also said to have considered acquiring OnLive in 2010). Amid those happenings, Square Enix has decided to offer some of its catalog over a new streaming outfit called Core Online. Developed by Square Enix subsidiary Hapti.co, the service sings a familiar tune: you can enjoy "high-definition" titles with little more than a basic PC and a Web browser (Firefox, Chrome and Internet Explorer are supported). This is achieved by a combination of a proprietary Square Enix technology and Google's Native Client platform, which lets Web pages tap into 3D graphics hardware. Core Online isn't entirely identical to existing services, however. Instead of paying for a subscription that unlocks a library, gamers can play for "free" by watching video advertisements. According to folks who have tried the service, which is still in beta, viewing one ad provides about 10 minutes of gameplay. Alternatively, you can purchase individual levels or the full game to avoid ads. 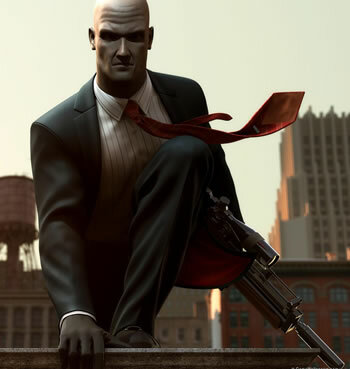 For instance, Hitman: Blood Money is divided into 13 chunks that cost $0.49 each ($6.37 for all). Unlocking the full game costs $4.99. You can play all 13 levels by viewing ads, but this likely meant to serve as somewhat of a demo, as few gamers would want to be yanked out of the action every 10 minutes. It's unclear if you can view several ads to bank larger chunks of uninterrupted play time, but even so, most players would probably rather pony up and avoid the hassle. Core Online also currently offers Mini Ninjas and will receive Lara Croft: The Guardian of Light in October along with Tomb Raider: Underworld and Gyromancer at some point.